Asia Pacific Superyachts Indonesia has been awarded "Best Superyacht Agent in Indonesia" by the Indonesian Government. 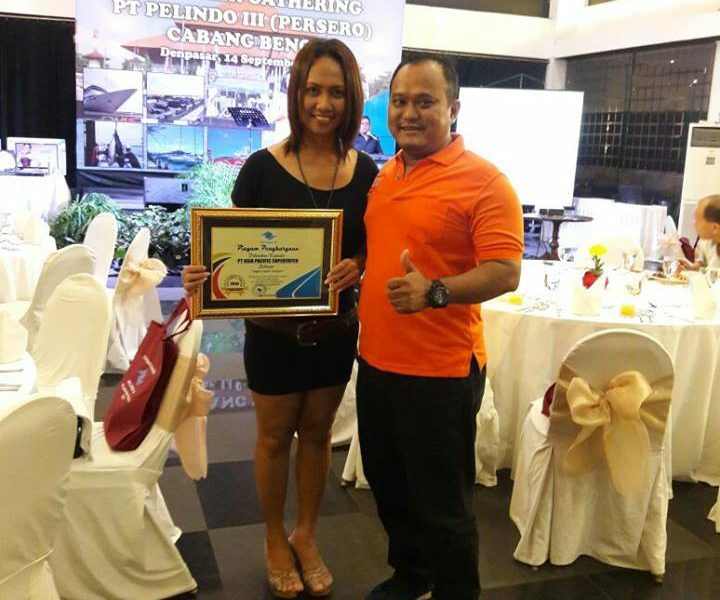 At an awards dinner which took place in Bali last month Vivi Oktavia, Asia Pacific Superyachts (APS) Indonesia manager, received the unexpected prize from the head of the Indonesian Government Harbour Authority (Pelindo). The award was in acknowledgement of APS ongoing efforts to pioneer and grow the superyacht industry in Indonesia over the last eight years. “When we started it was very tough," Vivi reported. "We had to juggle commercial shipping and domestic tourism regulations and try to apply these to what our captains and owners wanted to do. But we had faith in Indonesia as the biggest and most diverse cruising grounds in the world. The beauty and experience always won through in the end. So now to have the government supporting us and acknowledging that what we are doing is wonderful for Indonesia, it is very powerful. We have created a lot of jobs all over Indonesia and with this support, we will create many more." APS Indonesia has brought close to 350 superyachts into Indonesia including six superyachts over 100m LOA. The service and support agency also handles helicopter permits and private jet permits, with the capability to land where no others can. The APS support network extends throughout Indonesia which means they are able to provide a level of support unmatched and backed by years of experience.